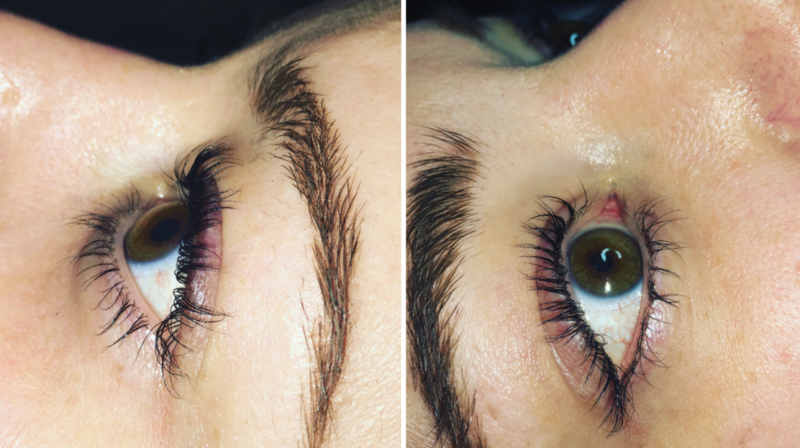 Introducing the Lash Lift + Tint - Fringe / A Salon Inc.
Move over lash extensions, the latest trend has arrived at Fringe Salon and it is here to stay – lash lifts and tints! You may have heard about lash lifts and lash tints from your favorite beauty blogger, but we have the complete break down on what it is and what to expect. Keep on reading! In a nutshell, this service ‘lifts’ the lashes upwards giving them a longer, fuller and thicker appearance. We recommend pairing the lash lift with a lash tint to increase the visual effect of volume and length. When finished, your eyes will look larger, the lashes will look longer and your entire face will look brighter. Think of it as the look and feel of wearing mascara without actually having to use mascara and a curler each day. The lash lift process takes about 45 minutes and additional 30minutes if you decide to add a tint. Once the service is complete, no water, cleansing product or makeup should touch the lashes for at least 24 hours. After that, feel free to use mascara and no eyelash curler is needed! This is safe service that won’t wash out after showering or swimming. Anyone who wants to save time getting ready in the morning. Anyone who doesn’t want to hassle with mascara and an eyelash curler. Anyone who likes the volume of their lashes but wants them curlier. 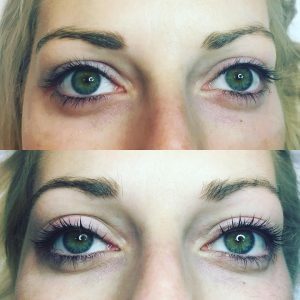 Anyone looking for a low-cost alternative to lash extensions. If you’re interested in a low-maintenance option for longer and fuller lashes, book an appointment with us now. New clients will receive 20% off their first service!